Met oor die 82 000 voete by Nampo Oesdag – Harvest Day die jaar kan ons net dankie sê vir al die uitstallers, vennote en besoekers wat die jaar ons beste een nog gemaak het! Loer gerus na die video wat net 'n paar van die hoogtepunte van #NAMPO2018 bevat. The four-day trade show provides a unique opportunity to all manufacturers and distributors of agricultural machinery, products and services to exhibit and demonstrate a vast range of products to targeted customers. Interactive tractor & implement demonstrations are a unique feature of the show which allows farmers to view interactive demonstrations of an exhaustive range of machinery and implements. NAMPO Harvest Day also offers an exclusive women’s programme and ample opportunities are available for other smaller exhibitors to take part in the event. 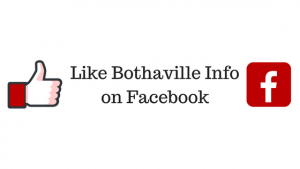 Bothaville as a town comes alive with markets and stalls for all and any and provides accommodation and supporting services to visitors and exhibitors alike. Note high voltage power lines on final approach on 10.